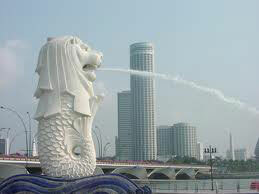 Singapore - The Lion City. A 09 Days Tour At An Honest Price With Maximum Quality Sightseeing And Minimum Travelling Time. Full-Spread American Breakfast At All Hotels. Enjoy Dinners At The Best Of Local Indian Restaurants. 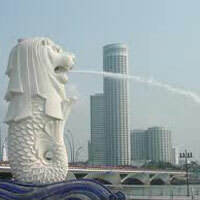 Stay 02 Nights In Singapore - The Lion City. Panoramic City Tour Of Singapore. Visit Sentosa Island - Underwater World Oceanarium And Songs Of The Sea. 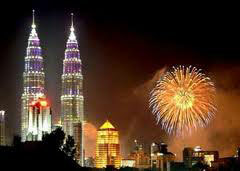 Stay 03 Nights In Kuala Lumpur, Malaysia. Visit Putrajaya - The New Administrative Capital Of Malaysia. Visit Batu Caves - Home To The Leading Hindu Shrine In Malaysia. Enjoy A Fun-Filled Day Trip To The Outdoor Theme Park At Genting Highlands. 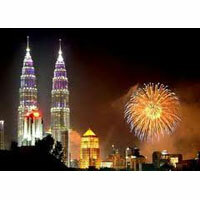 Enjoy A Guided City Tour Of Kuala Lumpur. 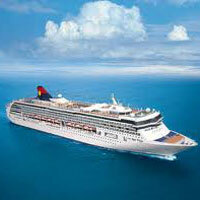 Enjoy 04 Days On Board The Luxurious Cruise Liner 'Super Star Libra'. Enjoy All Meals On Board The Cruise. Visit Beautiful Island Of Phuket And Scenic Beaches Of Krabi. A Relaxed Tour With Ample Time For Shopping. Visit 06 Cities In 09 Days: Singapore, Genting, Kuala Lumpur, Penang, Phuket And Krabi. Welcome to Singapore - the Lion City. Sit back in the comfort of your coach, as we drive you to the hotel. Later you check into your hotel and relax. The day is free for you to relax. Later proceed for Dinner at an Indian Restaurant. After Dinner, you have the option of enjoying the Night Safari. Night Safari is the world's first safari park for nocturnal animals. It has over 2,500 animals in their naturalistic night time habitats. The star of the Night Safari experience is a guided tram ride that takes you across 7 geographical zones of the world. From the rugged Himalayan Foothills to the swampy banks of the Asian Riverine Forest and more, your tram guide will share fascinating facts and tales about the animals and habitats along your journey. Overnight in Singapore. After an American breakfast at your hotel and get ready for an exciting panoramic tour of this colonial city. Drive past the Parliament House, Supreme Court, City Hall, China Town and Little India. Stop at Raffles Landing Site, one of the most historical sites. Later, proceed to the Sentosa Island to enjoy a fun-filled afternoon. Visit the Underwater World Oceanarium where you can venture into the ocean depths via a moving travellator that ferries you through an 83-metre-long acrylic tunnel. Later prepare to be spellbound by 'Songs of the Sea' - a show of characters, sound, light and laser extravaganza. Tonight, enjoy a delicious dinner at a local Indian restaurant.Overnight in Singapore. After a delicious American breakfast at the hotel, sit back and relax in your deluxe coach as we proceed towards Kuala Lumpur. Enroute enjoy a panoramic tour of Putrajaya, designed as an intelligent Cybercity and the new federal government administrative centre. Putrajaya showcases the best Malaysian architectural design in an environmentally friendly setting of beautifully landscaped lakes and parks. Later we proceed for a city tour of Kuala Lumpur, places of interest includes driving past the National Mosque, the National Monument, photo stop at the Petronas twin towers and the superb buildings at the Independence Square, Chinatown and Parliament House; photo stop at the King's Palace - residence of the elected king of Malaysia. Tonight enjoy a sumptuous Indian dinner. Overnight in Kuala Lumpur. After an American breakfast at your hotel, proceed to Genting, en route, visit Batu Caves - a leading Hindu shrine in Malaysia. To reach it, one has to climb 272 steps. Drive to the Sky way cable car station for a relaxing, scenic ride up to Genting Highlands. Indulge yourself in a world of fantasy and adventure at the famous Genting Outdoor Theme Park. The cool mountain air makes it an exhilarating experience, whether you are looking for a relaxing ride, or to enjoy the wondrous scenery around you or to just hop onto one of the adrenalin-pumping rides, Genting Highlands will not disappoint. The theme parks have over 40 rides and attractions to choose from, and offer you a unique experience with totally different climates - from arctic to rainforest! In the evening, return back to Kuala Lumpur. Tonight enjoy a sumptuous Indian dinner. Overnight in Kuala Lumpur. After an American breakfast at your hotel, sit and relax in your coach as we proceed towards Penang to board your cruise - the Super Star Libra. Enroute, enjoy packed lunch. Super Star Libra brings you to a world class exclusive floating resort on the high seas offering you an impressive array of facilities, entertainment, recreational activities and services. 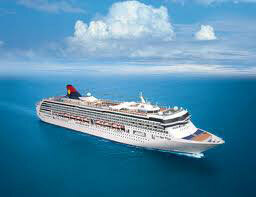 Treat yourself to the finest cuisine onboard various international restaurants. Enjoy a delicious American breakfast on board the cruise. Later, you have an option of joining the several optional shore excursions or you can explore the beautiful beaches of Phuket on your own. Enjoy sumptuous meals onboard the cruise. Overnight on board the cruise. Enjoy a delicious American breakfast on board the cruise. With its beautiful beaches and unspoiled islands, Krabi is now one of the most famous tourist destinations in Thailand. You have an option of joining the several optional activities or you can explore the beautiful beaches of Krabi on your own. Enjoy sumptuous meals onboard the cruise. Overnight on board the cruise. After an American breakfast on board the cruise, disembark and proceed for a city tour of Penang. Drive past the Chew jetty, little India and exciting China Town and make a stop at the famous Wat Chaiya Mangalaram Buddhist temple. Proceed to Kuala Lumpur. Dinner at an Indian restaurant.Overnight in Kuala Lumpur. Enjoy an American breakfast at your hotel. Later today, proceed to the airport as this fantastic tour comes to an end. Return home with wonderful memories.